A blue chip is a stockStockWhat is a stock? An individual who owns stock in a company is called a shareholder and is eligible to claim part of the company’s residual assets and earnings (should the company ever be dissolved). The terms "stock", "shares", and "equity" are used interchangeably. of a well-established corporation with a reputation for reliability, quality, and financial stability. Blue chip stocks are usually the market leaders in their sectors and have a market capitalizationMarket CapitalizationMarket Capitalization (Market Cap) is the most recent market value of a company’s outstanding shares. Market Cap is equal to the current share price multiplied by the number of shares outstanding. The investing community often uses the market capitalization value to rank companies running into billions of dollars. They are the most popular stocks to buy, due to their long track records of steady earnings or paying dividends. Blue chip stocks are significant components of some of the world’s most reputable indexes such as the Dow Jones Industrial AverageDow Jones Industrial Average (DJIA)The Dow Jones Industrial Average (DJIA), also commonly referred to as "the Dow Jones” or simply "the Dow", is one of the most popular and widely-recognized stock market indices, Nasdaq 100 and S&P 500 in the United States, TSX-60 in Canada and the FTSE in the United Kingdom. Many stock market investors prefer blue chip stocks due to their stable earnings. Blue chip stocks usually pay increasing and consistent dividends over time to at least partially make up for any temporary declines in the stock’s price. During economic slowdowns, investors turn to blue chip stocks to protect their investments. For example, during the financial crisis in the last decade, some blue chip companies survived the crisis and investors who held shares in these companies were able to recover their earningsRetained EarningsThe Retained Earnings formula represents all accumulated net income netted by all dividends paid to shareholders. Retained Earnings are part of equity on the balance sheet and represent the portion of the business’s profits that are not distributed as dividends to shareholders but instead are reserved for reinvestment. Investors in blue chip stocks are generally assured of receiving regular dividend payments and having their portfolios protected against inflation. The term “blue chip” was first used to describe high-quality stocks in the early 1920s by a Dow Jones employee, Oliver Gingold. Oliver was standing by the stock ticker at the brokerage firm when he observed some shares trading at $200, $250, or more. He told Lucien Hooper of W.E. Hutton & Co. that he planned to go back to the office and write about “these blue chip stocks.” The term’s been used since then to refer to high-priced stocks, just as blue chips in poker typically carry higher chip values. Blue chip stocks do not necessarily need to be highly priced but should be of high quality. Blue chip stocks are generally considered to provide a safe harbor during economic downtowns. Some of the companies listed on the Dow Jones index, such as Coca-Cola, General Electric, and Procter and Gamble company, have survived major economic slowdowns well over the years due to their strong balance sheet and excellent management teams. Such companies are capable of buying out and driving out weak competitors after a crisis, therefore strengthening their financial position even more. As previously noted, blue chip stocks typically pay consistent and steady dividends to their investors. Research shows that dividend-paying stocks tend to be less affected in bear markets. Investors can sometimes live off the dividend payouts during their retirement and pass on the wealth of their stock holdings to their children when they die. Some investors love buying blue chip stocks on the theory that the strength of the financial statements of the issuing companies means that their income is protected. Inexperienced investors often target investments that they think will make them rich quickly. More experienced investors, especially those who have already acquired wealth, tend to focus more on establishing sustained income for the future and on protecting their existing wealth with stable investments, even if those investments only offer a more modest rate of return. 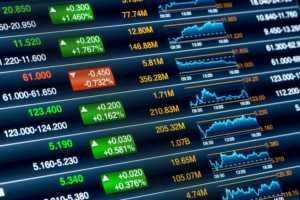 How to Invest in Blue Chip Stocks? Before buying stocks, you should consult an investment advisor, or another professional advisor, in addition to performing your own research on the best-performing companies. Evaluate the recent annual and quarterly published reports of stocks to understand their performance and any changes in the management of the company. Analyze the company’s performance for the last decade to know the dividend payments trend and the reported earnings. Looking at the historical performance over a long period of time will give a more precise indication of a company’s performance during both boom and bust cycles. Compare several high-quality stocks and decide which ones to invest in based on your stock evaluations and your personal investment goals. The SEC recommends stock diversification to minimize risks, and you can choose several premier stocks to start with. You can purchase stocks individually through a brokerage firm or buy a basket of stocks by investing in mutual funds or ETFs. If you are buying stocks through a brokerage, you can choose an online broker, a full-service broker, or discount broker depending on the level of personal service you desire. Once an account is opened and you have provided all the necessary documentation, you will need to make a deposit with the broker. You can then place your first buy order for the number of shares you want to buy of a given stock. Some mutual funds or ETFs use “Blue Chip” in their name and contain a list of the best-performing stocks in various sectors. For example, Bridgeway Blue Chip 35 Index invests more in technology companies and less in consumer discretionary companies. Vanguard’s Dividend Appreciation ETF (VIG) tracks the Dividend Achievers Select Index, an index that lists U.S. companies that have increased their dividend payments in the last 10 or more consecutive years.